If the first things that come to mind when you think of Panda and Penguin aren’t two cute animals, then you’re on the right page! We’ve got your back. On Monday, June 15, six awesome SEO experts will share their experiences, thoughts and, most importantly, actionable tips on how to survive in the Google Zoo and stay in Google’s good graces. So save the date! Monday’s session will feature an interactive session with these experts, and we’ve arranged a week of educational webinars that will uncover the secrets of Google algorithms and share valuable SEO tips that will help you increase your rankings in light of these updates. 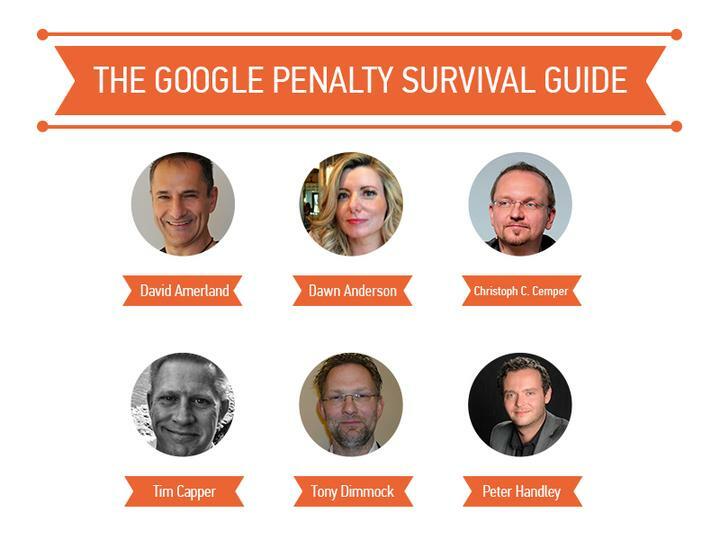 Discover how David Amerland, Tim Capper, Christoph C. Cemper, Dawn Anderson, Tony Dimmock, Peter Handley survive Google Updates. Don’t miss the opportunity to hear them live and participate in interactive Q&A sessions!